The higher the air temperature, the greater the potential is for the material to absorb humidity. Relative humidity is a percentile proportion which describes the extent to which air is saturated and how close the air condition is to the saturation line. Heating generally translates into a decrease in relative humidity, though the value of absolute humidity remains the same. Proper humidity and resulting hygienically perfect air are necessary for humans, animals, plants and materials as well as research and development, production, storage and maintenance. Since dry air tries to absorb more humidity, it also draws the humidity from its surroundings, including the people in it. This leads to conditions such as skin itching, eye burning, headaches and fatigue. 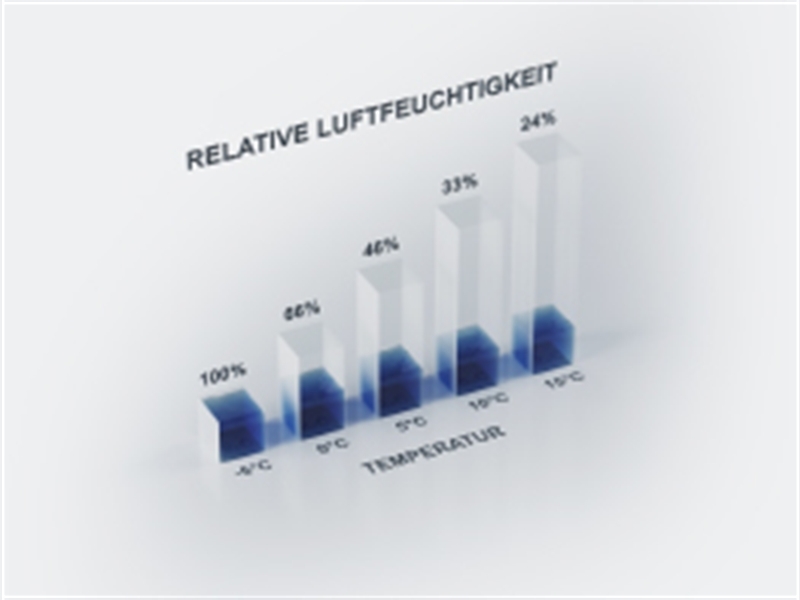 The optimal range of air condition values for comfort lie between 21°C and 22°C, with values for relative humidity between 40% and 60%. Let's assume we have a glass in which an air temperature of 20°C prevails. 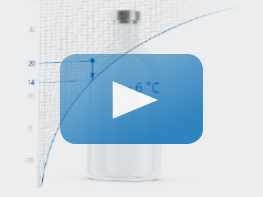 The glass contains 10 grams of water per kilogram of air, with relative humidity at 70%. The first thing we know is that the air is already very humid, and can only absorb 30% more humidity. It is also clear that the air will reach the dew point line if absolute humidity increases by 5 grams of water per kilogram of air. The air would also reach the dew point line if it cools down by at least 6°C. If we now add steam to the receptacle and thus increase humidity, mist would then form followed by condensation when we reach 15 grams of water per kilogram of air. Looking at this another way, the air would also reach the saturation line and therefore mist and condensate would form if temperature is lowered by 6°C. Individuals frequently suffer signs of dehydration at relative humidity values under 30%, such as those which occur through heating in winter. This leads to drying of the respiratory tract mucous membranes which can no longer transport dust, dirt and pathogens quickly enough away from the respiratory tracts. The risk of respiratory illnesses increases if these elements remain in the respiratory tract for a long period of time. Typical consequences of this process are coughing, bronchitis, colds, and sinus inflammations.. The hazards arising from undesirable microorganisms as well as the occurrence of specific symptoms of illness are minimal in the optimal relative humidity range between 40% and 60%. Relative humidity values under 35% encourage the formation of dust due to the drying of clothes, carpets, furniture and similar items. Ammonia and other gases which also irritate respiratory organs arise through the carbonization of dust on radiators. In addition, synthetic materials of all types become electrically charged in dry air and thus collect additional dust particles. The drying out of the mucous membranes of the upper respiratory tracts leads to the impairment of these organs (+ explanation of mucous membrane protective mechanism). All hygroscopic materials strive for equilibrium. A hygroscopic material therefore maintains equilibrium after the humidity level of the surrounding air continues for a certain period of time, causing the affected material to either absorb or emit water. A large number of the materials in our environment contain water to a greater or lesser extent. Hygroscopic materials stand out because their water content is based on the humidity of the surrounding air.